I never met my grandfather on my dad’s side. He died too young, while my father was just a teenager. I imagine we would have gotten along very well as I am told he loved the outdoors and spent his leisure time hunting, fishing and gardening. 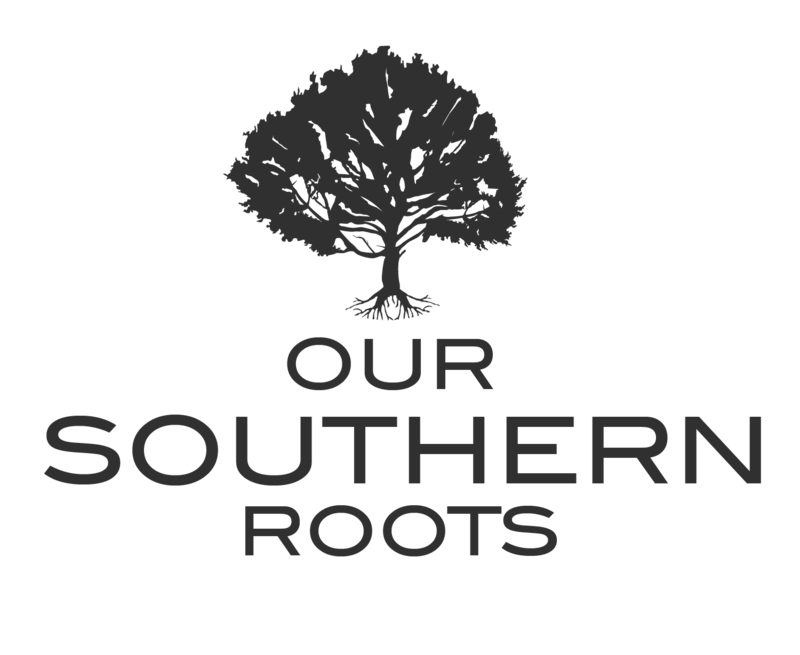 He lived in south Mississippi where hunting during the ’30 and ’40 was pretty much limited to small game. My grandfather loved to quail hunt and I am told that he kept six pointers so he could hunt over three in the morning, come in for a quick lunch and head back out to hunt with the other three in the afternoon. 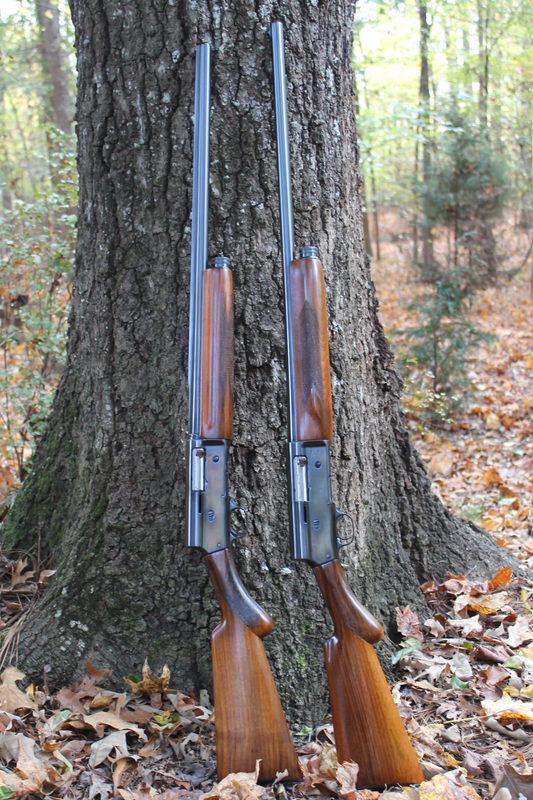 In addition to the hunting stories and a handful of black and white photos of my grandfather, we have his two Browning shotguns. We took these family treasures out of the gun safe over the holidays to hold and admire. 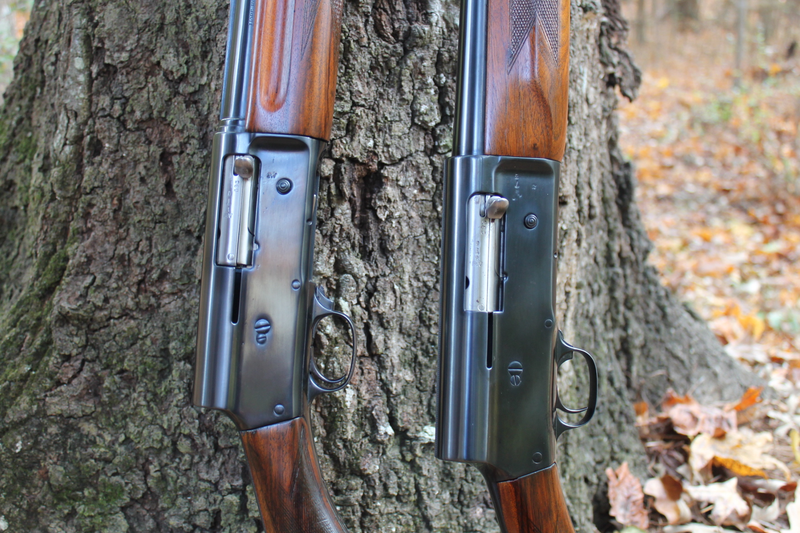 One is a Belgium made Sweet 16 gauge A-5 from around 1930. This shotgun was purchased in Europe by grandfather’s friend, who had traveled there on vacation. My grandfather reimbursed him the purchase price of $48! This is my father holding the Browning 16 gauge. For many years it served as his primary shotgun. 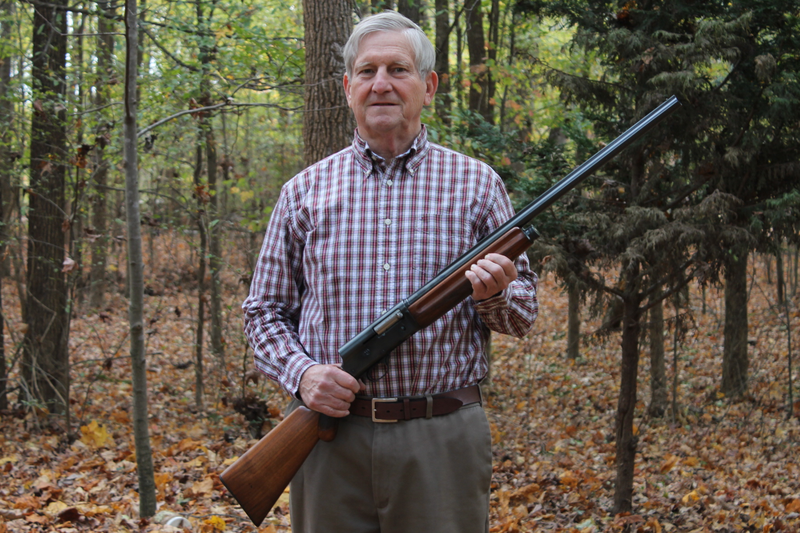 When my big brother was old enough, he began using the Browning 16 gauge – which began a chapter in the gun’s history where it was used by all of my grandfather’s grandsons. We considered it a privilege to hunt with the Sweet 16! I recall using it to hunt ducks back in the good ole days when #6 lead shot out of a 2 3/4″ 16 gauge was all the gun you needed to fold a duck at 40 yards! I also remember using it to hunt dove, quail, squirrel and even black bear. 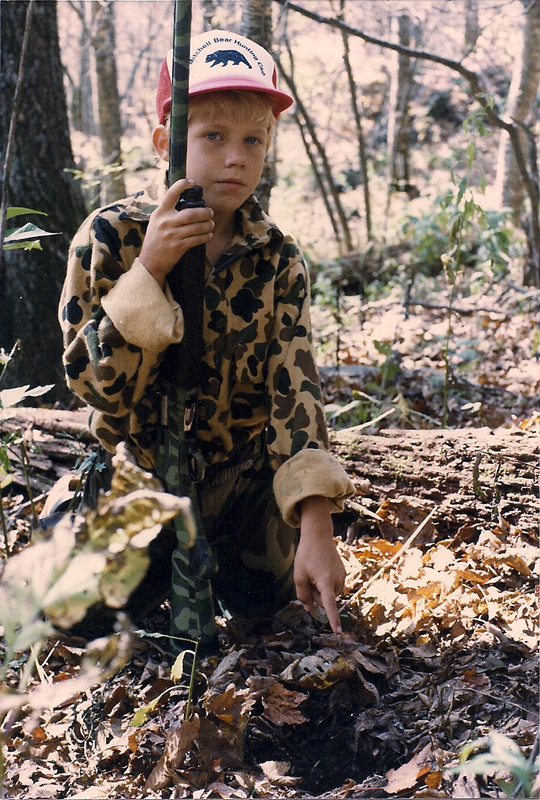 Here I am pictured at 10 years old, black bear hunting in the North Carolina mountains with the Browning 16 gauge, loaded full of “pumpkin’ balls” as my dad would say. I am pointing at a bear track. We barely missed that bear as it crossed below us on the ridge just out of sight. 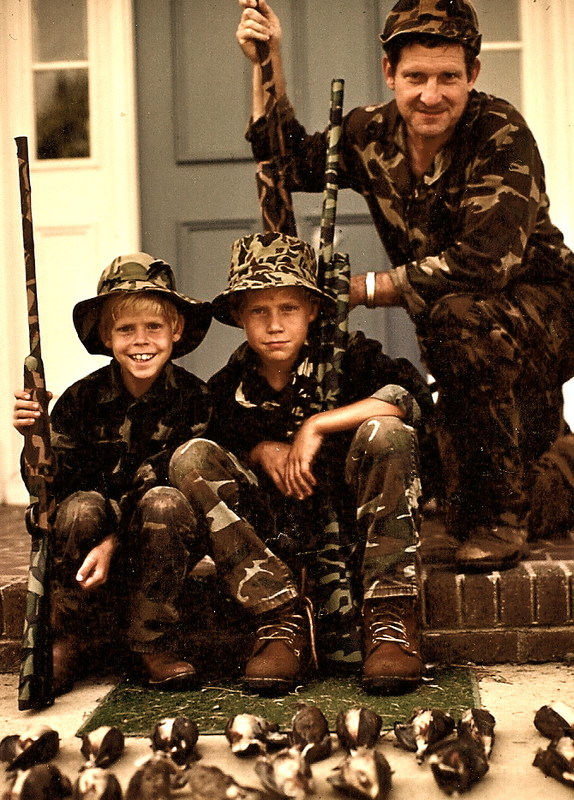 Here I am pictured at 11 years old with my younger brother and dad. I am holding the 16 gauge after what appears to have been a fairly successful dove shoot! Looking back I can’t believe we put camo tape on that beautiful gun! At the age of 14, dad gave me a new Browning 12 gauge and my younger brother used the 16 gauge for a few years. Soon he also graduated to a 12 gauge, and the Browning 16 gauge was retired as a hunting gun. Some time ago my dad had these guns professionally cleaned and re-blued. Before they were re-blued, I recall them having rubbed spots from years of use with bright steel showing through. 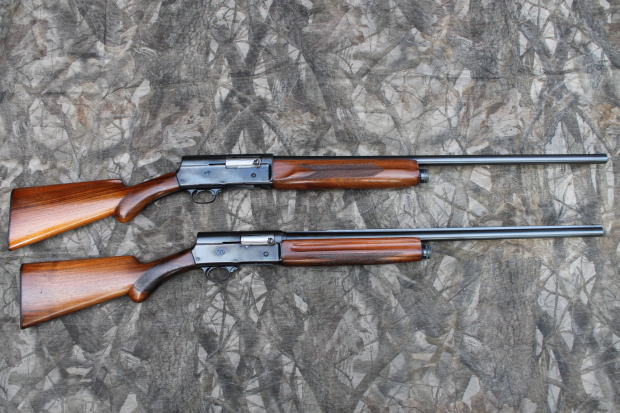 The checkering on the stocks of both of the shotguns is worn down and slick from heavy use. Though it still remains in great condition to this day, its trips to the field are limited to only special occasions. Holding these shotguns is something very special indeed. I imagine my grandfather had no idea these shotguns would be treasured by his son and grandsons, but I expect that he would be greatly pleased. Fantastic Story and pictures. Nothing like those family heirlooms, especially if they’re shotguns! We really enjoy reading the blog! Keep up the good work please. Great story and what a treasure you have in these heirlooms and the memories that go with them. Thanks for sharing. Just so happens I have a 1930 , my dad used many times with ducks Doves n many Quail. Two barrels . Been trying to find out how much it may b worth.